Emergency removal of live animals and dead animal carcasses is important to keep your family safe and to protect your pets from potential contagious infections. Many wildlife scenarios are emergency situations. 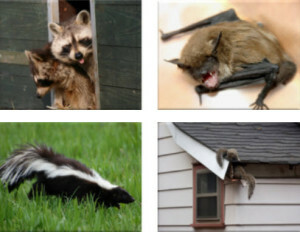 A common scenario is when an animal inside a home. A possum could enter through a pet door and get stuck inside, or a chipmunk could fall down a chimney and run loose in your house. Sometimes a bat will enter the house through a window and the homeowner will see it flying in their basement. Or perhaps a bird will get stuck inside a house and fly around in circles until it can be captured and released.. If you have a wildlife emergency that requires immediate assistance, Pinnacle Wildlife Control provides 24/7 emergency assistance for your situation.